I can't believe its 1st November already. Where does the time go? 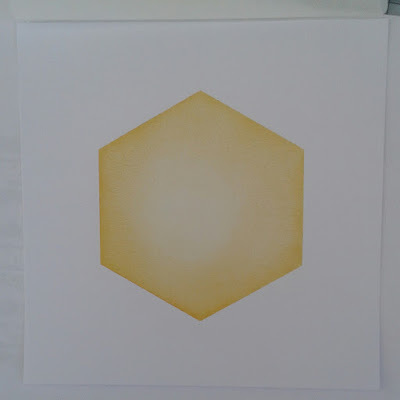 This month, we're doing something a bit different over on the Claritystamp challenge blog. 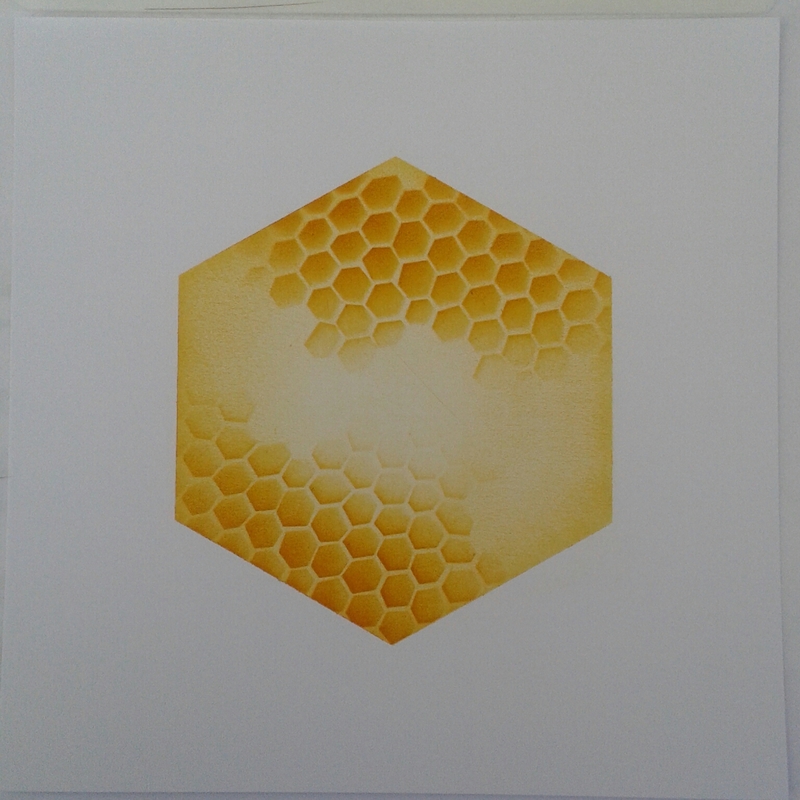 So go on, pick your favourite theme from one of our previous challenges and create a new project. I decided to go with "Clean and simple" from November last year. 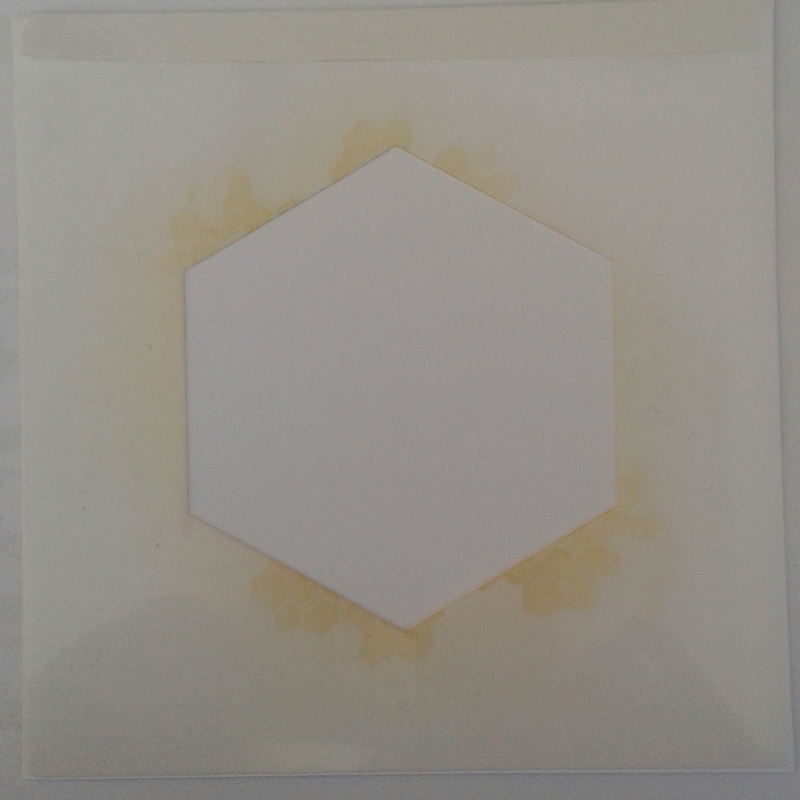 Put the hexagon stencil in place on a 7" x 7" piece of stencil card. 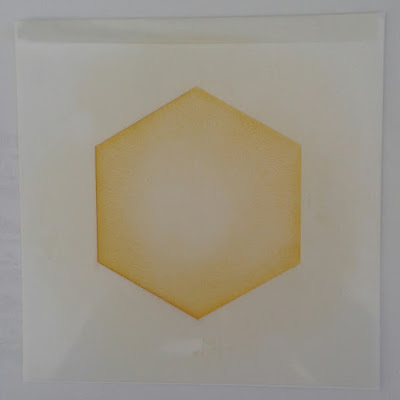 Brush wild honey distress ink through the aperture, concentrating around the edges and defining them with a make-up sponge, and keeping the centre a bit lighter. 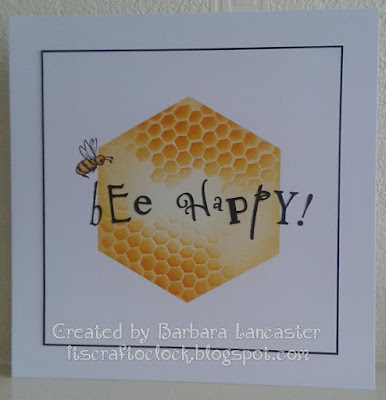 If you hinge the stencil at the top of the card with low tack tape, you can check your progress. 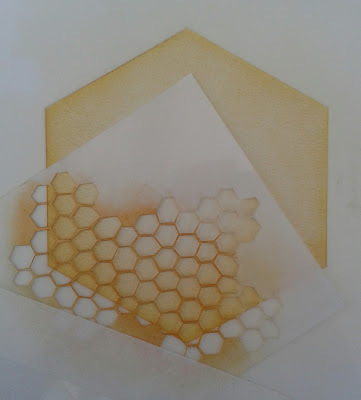 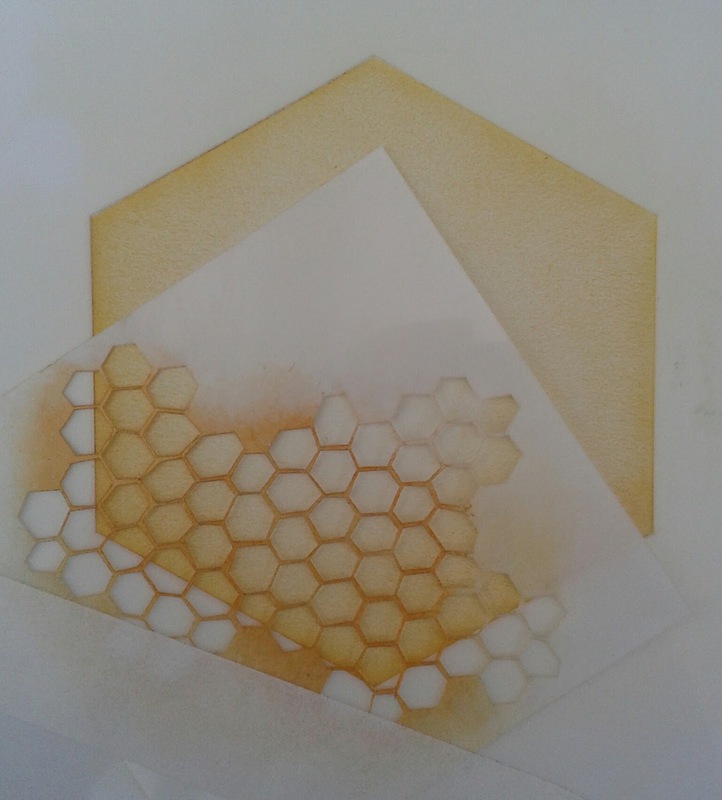 Replace the hexagom 'outie' and use the honeycomb 'innie' from one of the square aperture stencils to add some detail, brushing through more wild honey distress ink. 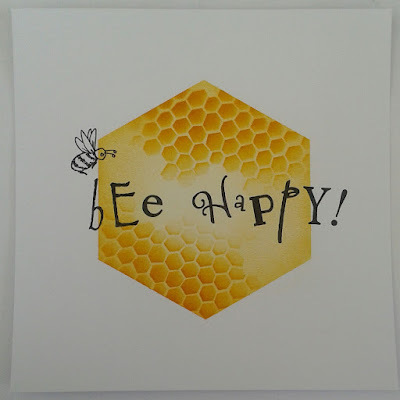 I used the word chain alphabet and the bee from the agapanthus set designed by Jayne Nestorenko to stamp my sentiment in black archival. 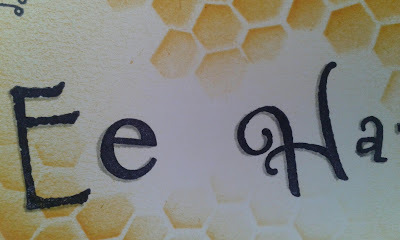 I added a drop shadow with a grey distress marker. 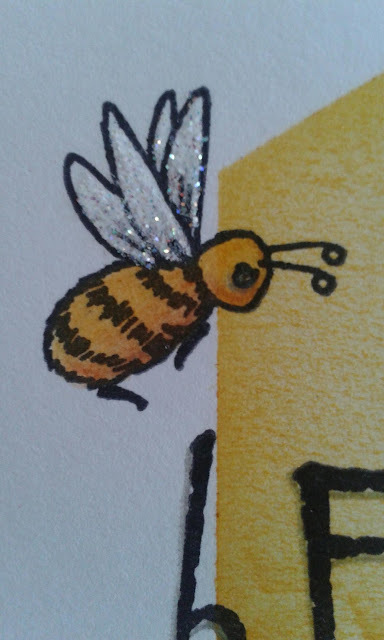 Coloured the bee with my Faber Castell polychromos and added a teeny bit of Glamour Dust glitter to the wings. 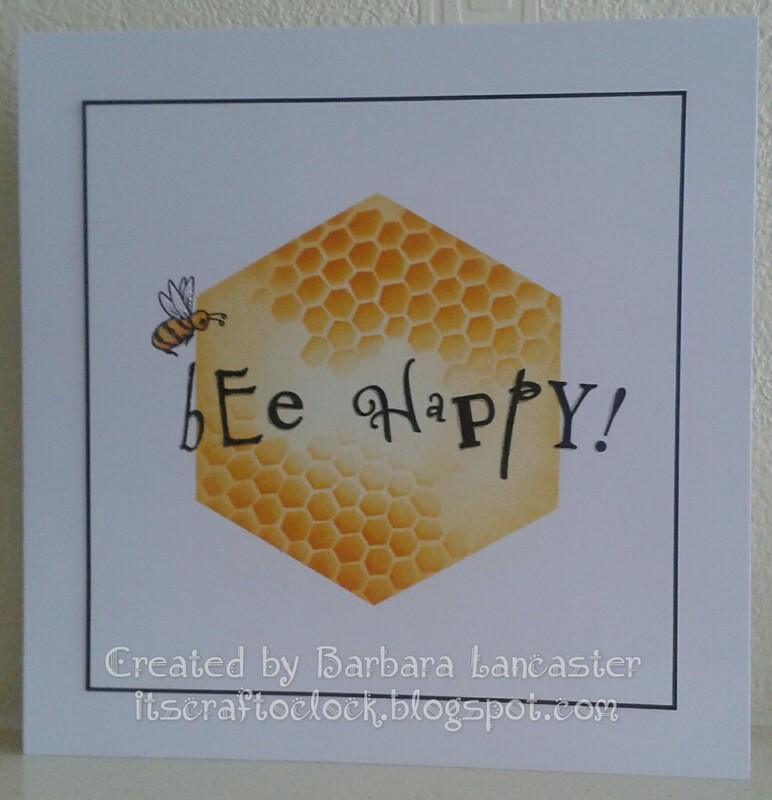 All that was left to do was to run a black sharpie round the edge and mount onto a card blank. I hope you like it. 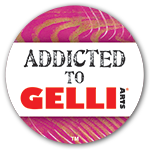 Its going to be so exciting this month. I can't wait to see your projects and your favourite themes.